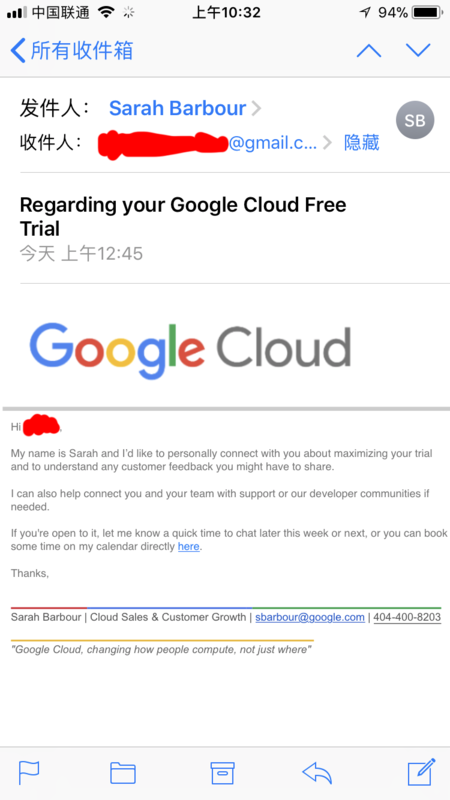 My name is Sarah and I ’ d like to personally connect with you about maximizing your trial and to understand any customer feedback you might have to share. I can also help connect you and your team with support or our developer communities if needed. If you're open to it, let me know a quick time to chat later this week or next, or you can book some time on my calendar directly here. "Google Cloud, changing how people compute, not just where"